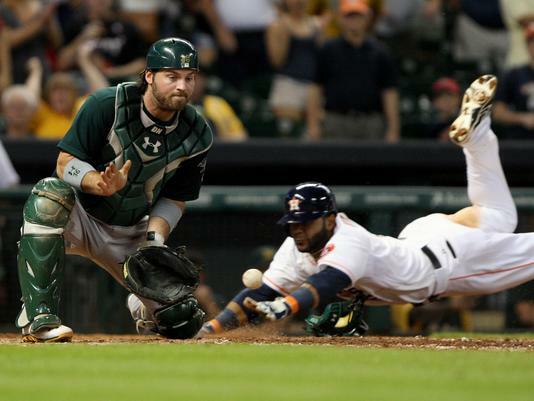 (AP) — Rookie Jonathan Villar scored the winning run from second base in the ninth inning when catcher Derek Norris had a passed ball and then made a bad throw on the same play to give the Houston Astros a 5-4 win over the Oakland Athletics on Tuesday night. Houston ended a 10-game losing streak against the A's this season and a six-game skid overall. The Astros trailed 4-2 entering the ninth before Matt Dominguez hit a two-run homer off closer Grant Balfour (0-2) to tie it. Justin Maxwell hit an infield single to start the inning and advanced to second when Balfour attempted to make a throw to first from his knees and bounced it in the dirt for an error. The homer by Dominguez bounced off the wall in left-center as Coco Crisp desperately tried to climb to grab it. (AP) — Pablo Sandoval hit a two-run double to help Bruce Bochy (BOH'-chee) earn his 1,500th win as a manager, and the San Francisco Giants split a straight doubleheader with the Cincinnati Reds with a 5-3 victory in the nightcap Tuesday. Hunter Pence hit an RBI single, Gregor Blanco had a sacrifice fly, and Brandon Belt added an RBI groundout in San Francisco's first win in six tries against the Reds this season after being outscored 34-6 in the first five meetings — including 11-0 on Monday night and 9-3 in the opener Tuesday. The Reds had 10 hits after combining for 32 in the first two games. The teams were forced to make up a July 4 rainout at Great American Ball Park. Cincinnati batted last and wore home uniforms as the visiting team. 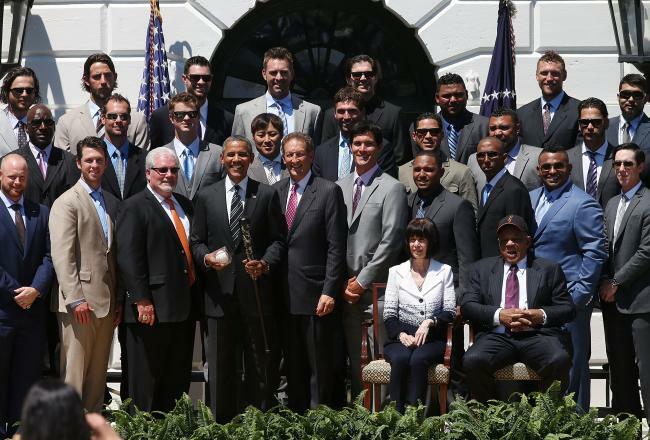 (AP) — The White House says President Barack Obama will honor the San Francisco Giants at a ceremony saluting their victory in the 2012 World Series. The team will visit the White House on Monday. The president will also honor the team for its community service work. The Giants swept the World Series in October, defeating the Detroit Tigers 4-3 in the final game after being nearly knocked out in the playoffs. It was their second title in three seasons. But Obama didn't predict that finish. On the campaign trail last year, the longtime Chicago White Sox fan predicted a World Series between the White Sox and the Washington Nationals. (AP) — Alex Rodriguez has reported back to the New York Yankees' minor league complex, three days after he was diagnosed with a strained left quadriceps on the final day of his injury rehabilitation assignment. Rodriguez, under investigation by Major League Baseball for his reported ties to a clinic accused of distributing banned performance-enhancing drugs, did not speak with reporters when he arrived in a SUV shortly after 11 a.m. Wednesday. 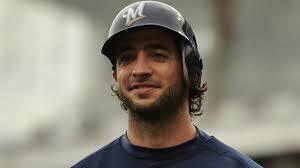 The third baseman, who turns 38 on Saturday, had been recovering from hip surgery in January. He hit .250 (8 for 40) with two homers and eight RBIs in 13 minor league games before the leg injury. New York said A-Rod was being sent to Tampa for "for rest and treatment." The Yankees have not said whether they intend to send him on another rehab assignment. 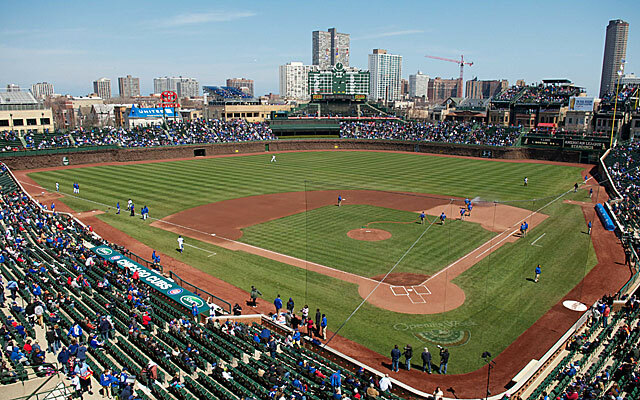 (AP) — Chicago's City Council is set to consider a proposed $500 million renovation of historic Wrigley Field that includes a massive Jumbotron in left field. Aldermen are scheduled to give the final vote on the project Wednesday. The vote comes one day after it got crucial approval from a City Council committee and the alderman whose ward includes the ballpark. Under the deal, the Chicago Cubs agreed not to erect outfield signs in addition to a Jumbotron in left field and another sign in right field. The plan also includes improved facilities for the players in the bowels of the 99-year-old ballpark and a hotel across the street. The Cubs say they need advertising revenue from the signs to pay for the renovation. The NFL and players union are meeting Wednesday in Washington in an attempt to reach agreement on testing procedures for human growth hormone as early as the upcoming season. Both sides already have closed in on conducting a population study that has been a key demand by the players before HGH testing is implemented. The labor agreement that ended the NFL lockout in 2011 requires the league gain union approval before testing players for HGH. The union says it favors testing, but has reservations about the appeals process. The union also has concerns about the way discipline will be handed out, and wants to collectively bargain that issue. An email obtained by The Associated Press from the NFL Players Association on Monday indicated that the league and the NFLPA have jointly hired a doctor to conduct a study on NFL players to determine an accurate threshold for a positive HGH test. The email was sent by the union to players, in part to explain that the study requires them to have blood drawn during their physical when training camp begins. The email said the blood samples will only be used for the study, which would mean further blood tests for players once an overall agreement is reached. Among the health problems connected to HGH are diabetes, cardiac dysfunction and arthritis. Lee Westwood was poised to finally win his first major title, with a two-shot lead to start the final round. But the 40-year-old Englishman struggled from the outset and continues to go winless in the big events. 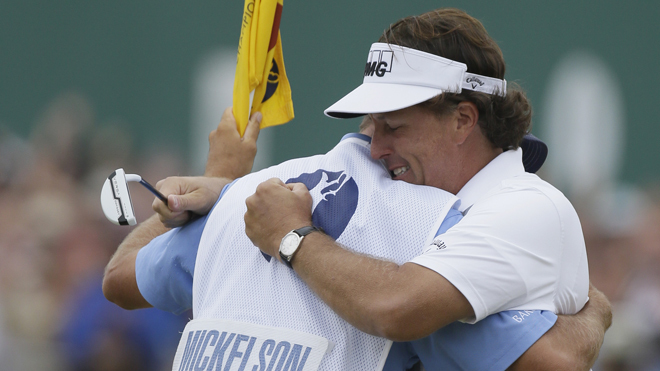 He shot 4-over 75 to finish four shots back of Mickelson. That left Westwood tied for third with Masters champ Adam Scott and Ian Poulter at 1-over par. Sweden's Henrik Stenson's 1-under 70 was good for second place, three shots back of the winner. 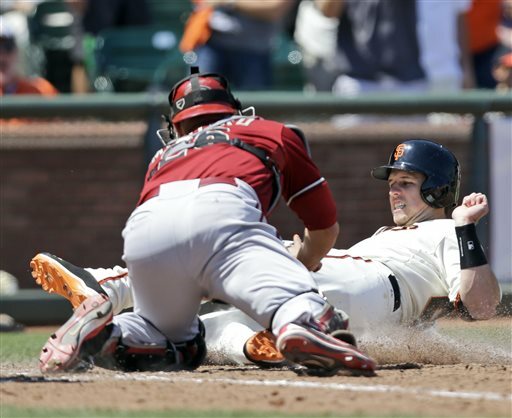 and the first-place Arizona Diamondbacks held off a late rally by the San Francisco Giants for a 3-1 win Sunday to avoid a three-game sweep. The D-backs snapped a three-game losing streak with their first victory of the second half. Randall Delgado (2-3) won in his first career start at AT&T Park, and Goldschmidt's first-inning sac fly got things going against the inconsistent defending World Series champions. Arizona threw out Buster Posey at the plate in the sixth. A day after stranding 13 baserunners and going 2 for 12 with runners in scoring position, the D-backs did just enough against Bumgarner in the 10-game winner's first outing after the All-Star break. Ross singled in the eighth as Arizona won for just the fourth time in 16 road games. The Giants are now 5.5 games out of first in the NL WEST as they open a four-game series with Cincinnati tonight. (AP) — Bartolo Colon pitched a four-hitter for his third shutout this season and center fielder Chris Young robbed Albert Pujols (POO'-hohlz) of a home run to help the Oakland Athletics beat the Los Angeles Angels 6-0 on Sunday. Eric Sogard hit a two-run homer to back Colon (13-3), who struck out five and walked one. The 40-year-old right-hander, making his first start since returning from his third All-Star game, tied Max Scherzer and Adam Wainwright for the major league lead in wins while reducing his ERA to 2.52. Colon is 10-1 with a 1.46 ERA over his last 12 outings. The 116-pitch complete game was Colon's 35th in 395 big league starts, and the shutout was the 12th of his career. Crisp preserved Oakland's ninth shutout of the year when he pulled back Pujols' bid for his 492nd homer leading off the seventh. (AP) — Billy Joe Tolliver won the American Century Championship for the fourth time, beating fellow former NFL quarterback Mark Rypien with a par on the third hole of a playoff Sunday. They finished regulation at Edgewood Tahoe Golf Course tied at 67 in the modified Stableford format that awards graduated points for pars or better. On the par-5 18th hole in the playoff, they had matching pars and birdies on the first two extra holes. Tolliver then took advantage of Rypien's pitch shot into the water, winning with a two-putt par from 25 feet. Former pitcher Mark Mulder was third with 66 points, and Golden State Warriors guard Stephen Curry tied for fourth with former NFL quarterback Chris Chandler at 64. 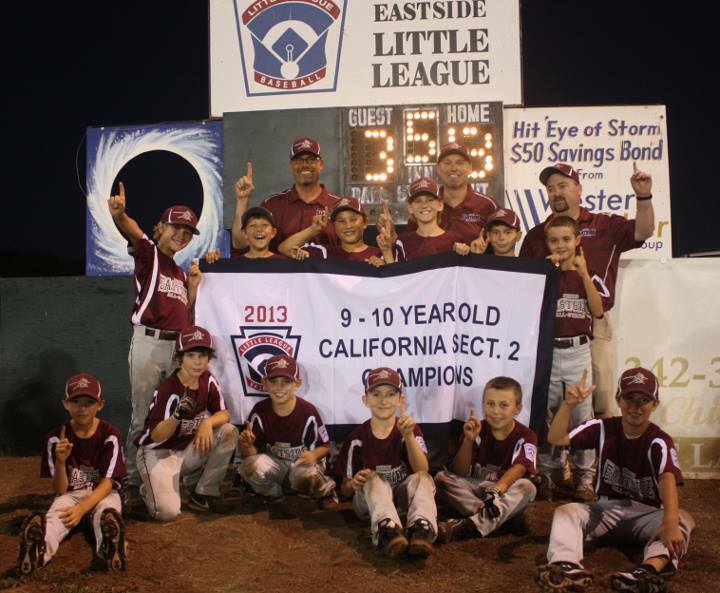 The 9-10 year-old Chico Eastside Little Leaguers are Section II Champions. The boys from Chico beat McKinleyville 13-3 to capture the Section Title and advance to the State Tournament next week in San Jose. The Chico Nuts lost to Yolo Post 77 in the second round of the Area 1 Tournament at Doryland Field by the score of 14-3. Ryan Dufort pitched five innings and Andrew Shipplehoute pitched four innings for the Nuts. the pitchers had seven errors committed behind them in the loss. The Nuts play today at 3:30 against the Redding Tigers in an elimination game at Doryland Field in Chico. The Chico Suns Blue team defeated the Orland Bearcats 8-0 in six innings of game 1 of the District 4 Junior Tournament in Orland. Wyatt Pforsich pitched a complete game, allowing just two hits and striking out seven. Matt Price went 2-for-3 with 3RBI's, and Thomas Wasson was 3x3 with a double and an RBI. The Suns Blue will play Colusa today at 4:30. 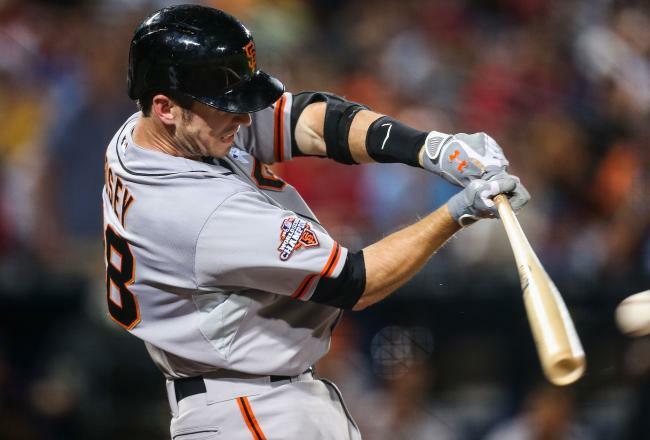 The San Francisco Giants open the second half of the season facing the team they are chasing in the National League West. The Giants trail the Arizona Diamondbacks by 6.5 game in the NL West and will host the Dbacks in a three-game weekend series. The Giants stumbled their way into the All-Star break losing 15 of 20. Tonight begins a 10-game homestand where the Giants will take on Arizona, Cincinnati and Chicago. The Oakland A's will be in Anaheim to take on the Angels as they start the second half in first place for the first time since 1990. 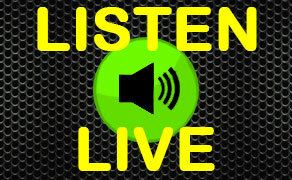 At 56-39 the A's have a two-game lead in the American League West over the Texas Rangers. Conditions are tough at the Muirfield and the 2013 British Open. With dry and windy conditions there are not the customary damp conditions we usually see at an Open Championship. Tiger Woods fired a second round 71 and will be in contention over the weekend as he chases his 15th Major Golf Championship. (AP) — The Major League Baseball season is in a holding pattern as the four-day All-Star break continues. Following last night's 3-0 win by the American League, the second-half of the season won't start until Friday. 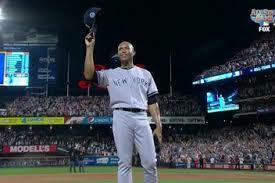 In case you missed the action last night, the AL stars blanked the National League as Mariano Rivera was named the game's MVP. He pitched a 1-2-3 eighth inning. The American League got runs batted in from Toronto's Jose Bautista (boh-TEE'-stah), J.J. Hardy of the Orioles and Cleveland's Jason Kipnis. The National League tops the series 43-39-2 and the win means the American League champion will have home field advantage in this fall's World Series. 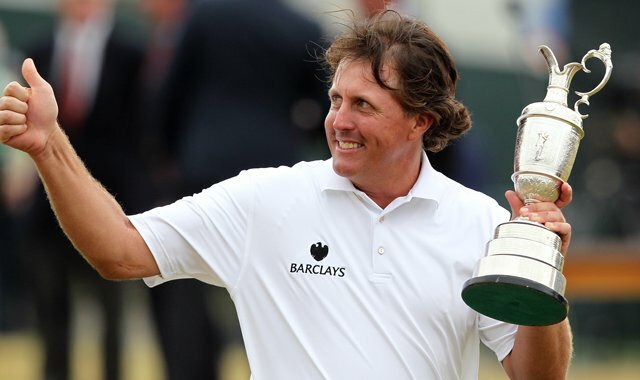 (AP) — The British Open, the third major in men's golf, starts play tomorrow morning in Gullane, Scotland. The defending champion this year is Ernie Els and he's back to defend his title. The field includes all of the top players in the world, including Tiger Woods, who says his sore left elbow is feeling just fine. The head of golf's governing body says there is no evidence of doping in the sport and emphasizes there will be no complacency in the fight to keep it drug-free. Peter Dawson says his organization is "right on the case" and that "anti-doping policies do as much as they can." (AP) — Texas A&M quarterback Johnny Manziel says he missed activities at the Manning Passing Academy because he "overslept," and his absence had nothing to do with being out the night before. Manziel left the camp for high school prospects run by the Manning family in Louisiana before it ended last weekend. He says his eventful offseason has been at times "blown out of proportion," though he did acknowledge that he needs to make better decisions because he's such a public figure. The 20-year-old Heisman Trophy winner faced hundreds or reporters at Southeastern Conference Media Days on Wednesday. Wearing a dark blue suit, the 6-foot-1, 200-pound sophomore discussed his fame, decision-making and even answered a few questions about football. 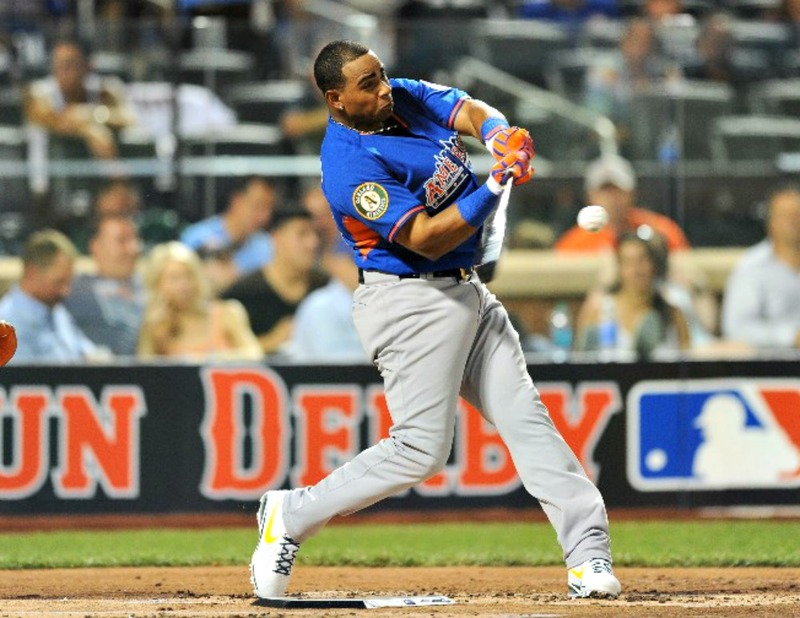 (AP) — Yoenis Cespedes has won baseball's Home Run Derby, becoming the first player left out of the All-Star game to take home the crown. The Oakland Athletics slugger beat Bryce Harper 9-8 in the final round Monday night at reconfigured Citi Field, hitting the decisive drive with five swings to spare. In only his second major league season, the outfielder from Cuba dropped his bat and raised his arm when he sent his 32nd homer of the night some 455 feet to deep center field, where it caromed off the back wall of the black batter's eye. He was swarmed by the American League All-Stars near the third base line. 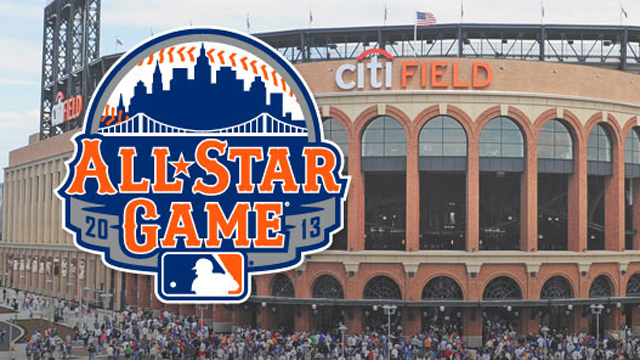 The final addition to the field, Cespedes was the fourth player not selected for the All-Star game to compete in the event. (AP) — Baseball's Mid-Summer Classic is just hours away as the best of the National League square off against the best of the American League. The rules of the game were changed a few years ago so the contest now means that the winning team secures home field advantage during the World Series for that league. On the mound this evening will be Matt Harvey of the Mets for the National League and Detroit's Max Scherzer for the American League. Harvey is 7-2 with a 2.35 ERA and leads the league with 147 strikeouts. He becomes the first pitcher from the host team to start an All-Star game since Houston's Roger Clemens in 2004 and just the 11th overall. Scherzer is 13-1 and suffered his first loss of the season Saturday against Texas. 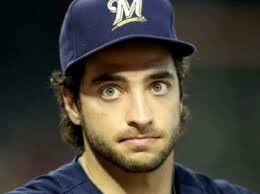 He has a 3.10 ERA and his 152 strikeouts are second in the majors to the Rangers' Yu Darvish. (AP) — The baseball players' association says any suspensions resulting from the sport's latest drug investigation likely won't be served until next year if the discipline is challenged before an arbitrator. Union head Michael Weiner says he expects Major League Baseball will notify the union of its plans for penalties in the next month, and the union will maintain that any discipline should not be announced until after arbitrator Fredric Horowitz upholds a ban. Weiner says that because of the time needed to prepare and hold hearings, the case of any player challenging a penalty won't be decided during this season. Former MVPs Alex Rodriguez and Ryan Braun are among the players under investigation for ties to Biogenesis, a closed anti-aging clinic linked with the distribution of performance-enhancing drugs. (AP) — Major League Baseball says it is moving ahead with plans to expand instant replay for umpires' calls next year. MLB Executive Vice President Joe Torre says "we're pretty confident we'll have it in place for 2014." Video review has been in place for home run calls since August 2008. Commissioner Bud Selig initially wanted to add trap plays and fair/foul calls down the lines for 2013, but change was put off while more radical options were examined. Speaking to the Baseball Writers' Association of America on Tuesday, Torre said "we're still in the tweaking stages" and "we're not limiting ourselves." An agreement would be needed with the unions and players and umpires. 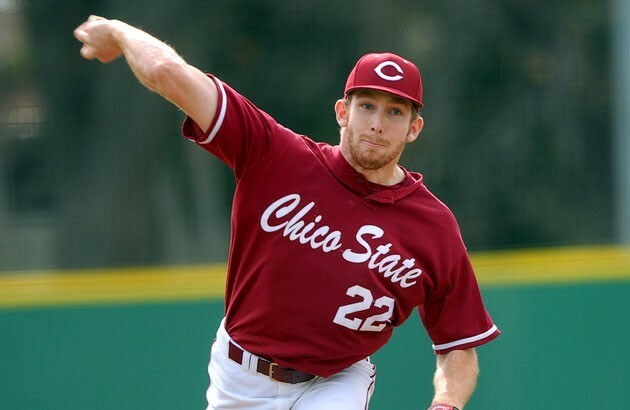 Troy Neiman will long be known for his exploits on the mound as a Chico State pitcher. Now he has a chance to make a name for himself in the Colorado Rockies organization. 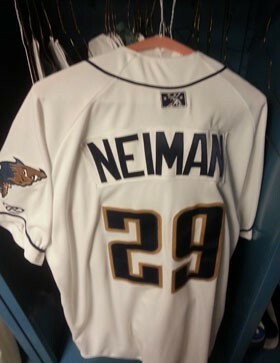 Neiman flew to Washington last Wednesday and signed a professional contract with the Rockies and joined their Class A minor league affiliate, the Tri-City Dust Devils, in Pasco, Wash., on Thursday. "This is all all I've been looking for since I was a kid," said Neiman in a telephone interview last Tuesday. "I didn't think it was going to happen. Now that it is happening, it's unbelievable." Neiman put together a special senior season in 2013, going 9-3 with a 1.53 ERA. He struck out 72 in 76-plus innings of work during which opponents hit just .190 against him thanks in large part to perhaps the best changeup the program has ever seen. That followed a strong junior campaign in which the lanky 6-foot-6 righthander went 4-2 with a 2.37 ERA and 59 strikeouts in 57 innings of work. Neiman finished his career with the second lowest ERA in school history (1.89) and ranks 10th in career winning percentage (.722) and strikeouts (126). Neiman went undrafted in June but was in contact with a Rockies scout who told him they wanted to sign him once some room opened up on their roster. "I've been throwing bullpens to stay ready," said Neiman. "And today (Tuesday) they called me and asked if I was ready to become a Rockie. I said, 'heck ya!'" (AP) — Pablo Sandoval hit his first home run since May 21, and All-Star Madison Bumgarner settled down to allow just four hits in seven innings as the San Francisco Giants beat the San Diego Padres 4-2 Thursday night in a matchup of the worst teams in the weak NL West. The defending World Series champion Giants, who snapped a four-game losing streak, have been in a free-fall since June 15. They had lost 19 of 24 games coming in and were a season-high 10 games under .500. They started the night two percentage points behind the Padres and ended it by jumping past San Diego into fourth place. Bumgarner (10-5) allowed two runs on three hits in the first inning and then retired 14 in a row before Carlos Quentin singled with two outs in the sixth. The lefty struck out six and walked one. The Oakland A's open up a three-game weekend series with the Boston Red Sox tonight. The A's are home after a good road trip where they went 4-2 taking two of three from both the Kansas City Royals and the Pittsburgh Pirates. Jarrod Parker gets the ball for the A's while Boston counters with John Lackey. First pitch 7:05pm from Oakland. (AP) — The Golden State Warriors are a team that prized free agents have avoided for most of the last two decades, nothing more than loveable losers with a faithful following and an ambiguous name on the NBA map. Calling it "a transformative moment for our franchise," general manager Bob Myers says Andre Iguodala's addition demonstrates that Golden State is now a desirable destination. The Warriors formally introduced Iguodala on Thursday, nearly a week after he agreed to a four-year, $48 million deal despite more lucrative offers. Iguodala says he wanted to come to the Bay Area because he believes in the franchise's vision, which he saw firsthand when the Warriors knocked out his Denver team in the first round of the playoffs. (AP) — The Sacramento Kings are taking over basketball operations of the NBA Development League's Reno Bighorns under a new shared partnership between the two teams. Bighorns owner Herb Santos Jr. will remain in control of business operations in Reno as part of the agreement announced Thursday. The move will allow the Kings to groom players and coaches — and oversee roster moves — in an affiliation similar to minor league teams in baseball. The partnership is the seventh of its kind between NBA and D-League teams. The Kings and Bighorns have been tied together since Reno's inaugural season in 2008-09. Last season, Reno also was affiliated with the Memphis Grizzlies and Utah Jazz. New affiliates for both teams will be announced later this summer. PORTLAND, Ore. -- Maybe next time they'll spell Chris Wondlowski's name correctly. Wondolowski, who plays for Major League Soccer's San Jose Earthquakes, sported an extra "W" on the back of his red and white jersey for the first international meeting between the two teams. Landon Donovan added a goal and two assists, becoming the first player with at least 50 career goals and 50 assists for the U.S. national team. "It's just great to get the start, especially in front of some great fans, and they provide such an atmosphere that makes it exciting and it makes you want to go out there and play," Wondolowski said. And as for his jersey? "I heard there was a lot of W's in there," he laughed. Indeed, his jersey read "Wondowlowski." That was Donovan's first match after a five-month break from the national team. He was not included on rosters for the U.S. team's June World Cup qualifying matches. 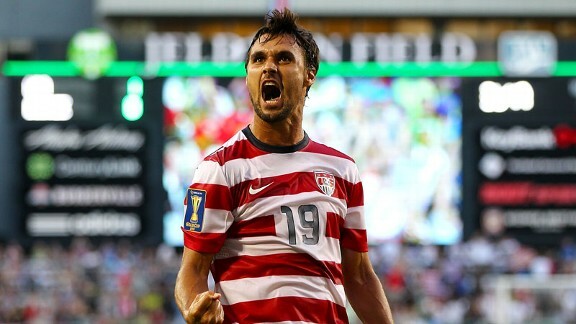 Wondolowski scored his first international goal against Guatemala. "I think Wondo realizes, 'Every time I'm on the field I have an opportunity, and I need to take advantage of it,'" U.S. coach Juergen Klinsmann said. Belize was making its first Gold Cup appearance. The Jaguars, as they are known, qualified for the competition with a fourth-place finish in the UNCAF Copa Centroamericana. The U.S. struck early when Wondolowski knocked in a rebound off Belize goalkeeper Shane Orio in the 12th minute. The United States relentlessly peppered Orio with shots and he made a dramatic save when Joe Corona fired at him in the 27th minute. But Wondolowski was able to get another one past him in the 36th minute to make it 2-0. Belize scored on a penalty kick two minutes later when Elroy Smith fed Ian Gaynair for the header to beat U.S. goalkeeper Nick Ramando. But Belize, a team made up of a mix of amateur and professional players, lost steam after the goal, coach Andrew Mork said. "It didn't last long enough," Mork said. "And that really turned the game around for us." Wondolowski added a third goal in the 40th minute. The United States took a 4-1 lead in the 58th minute when Stuart Holden scored with an assist from Donovan, giving him 50 for his career. Donovan got another when he passed to Michael Orozco for a header in the 72nd minute to make it 5-0. He got a goal -- the 52nd of his career -- with a penalty kick in the 76th minute. "The crowd was great, the energy was great, I thought we started really well," Donovan said. "A little disappointed to give up a goal, but I think it was a great night for us, a great night for the fans and a good start for the tournament." The Group C teams next meet on Saturday in Salt Lake City, with the U.S. facing Cuba followed by Belize against Costa Rica at Rio Tinto Stadium. The winners and runners-up from each group, and the two top third-place finishers, advance to the knockout round. The tournament concludes July 28th at Soldier Field in Chicago. It was the first visit to Portland for the U.S. men's team since 1998. Attendance was announced at 18,724. On the heels of a report that Major League Baseball is going to interview Alex Rodriguez on Friday about his alleged links to Biogenesis comes a bombshell. 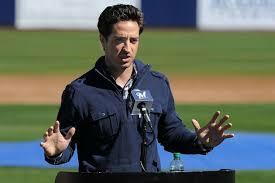 Brewers star Ryan Braun refused to answer any questions in a June 29 interview with MLB about his alleged connection to Tony Bosch and the Miami clinic, according to ESPN's Outside the Lines. Commissioner Bud Selig's office is expected to suspend Braun and Rodriguez, along with as many as 20 players sometime after next week's All-Star break, several sources told Outside the Lines. The report also says the commissioner's office is shooting for more than simply the "first offense" punishment of a 50-game suspension because it's possible multiple offenses have been committed by several of the players involved. This kind of sweeping suspension spree would be unprecedented when it comes to any major professional sport and punishments for performance-enhancing drugs. MLB already has the most strict testing program, but this is far above any investigation that has been conducted thus far. Bosch and his attorneys have been cooperating with MLB after initially giving some pushback. But now many documents have reportedly come into the hands of MLB officials from Bosch and his clinic. The report indicates MLB is building a case it believes is legitimate enough to suspend nearly two dozen players within the next few weeks. (AP) — Marlon Byrd's two-out grand slam capped a five-run eighth inning and the New York Mets beat the San Francisco Giants 10-6 on Tuesday for their third consecutive win. A day after needing 16 innings to top the Giants in a game that ended at 12:42 a.m., the Mets squandered leads of 3-2 and 5-3 but held off the slumping World Series champs by scoring five times against the Giants bullpen. Omar Quintanilla had three hits for the Mets while Byrd and David Wright added two apiece. Wright drew a two-out walk before Byrd's home run off San Francisco reliever Jake Dunning. Marco Scutaro singled twice for the Giants but was thrown out at home trying to score from first base on Pablo Sandoval's double in the first. (AP) — Dan Straily pitched two-hit ball into the seventh inning, Brandon Moss hit a two-run homer and the Oakland Athletics beat the Pittsburgh Pirates 2-1 on Tuesday night. Straily (6-2) struck out seven and walked three in 6 1-3 innings for his second straight strong outing. Grant Balfour worked the ninth to remain perfect in 24 save chances this season. The A's have won 10 of 13. Gerrit Cole (4-2) lost his second consecutive decision despite working seven innings for the first time in his four-week major league career. Cole allowed five hits, struck out four and walked two. Pedro Alvarez hit his 23rd home run but Pittsburgh matching a season high with its fourth straight loss. 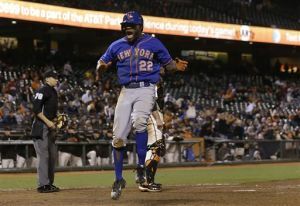 (AP) — Eric Young scored on shortstop Brandon Crawford's fielding error with two outs in the 16th inning, and the New York Mets outlasted the San Francisco Giants 4-3 in a game that ended early this morning. Young singled with one out and stole second. After he advanced to third on Daniel Murphy's groundout, lefty Javier Lopez entered and intentionally walked David Wright. allowing Young to score and handing New York its first win in a game that went at least 15 innings after losing its first three this season. The Giants and Mets combined to go 2-for-24 with runners in scoring position. The game lasted 5 hours, 26 minutes. It was the longest game in time and innings the Giants had played this season. (AP) — Bartolo Colon allowed one run over seven innings and the Oakland Athletics won for the ninth time in their past 12 games, beating the Pittsburgh Pirates 2-1 on Monday night. The 40-year-old Colon (12-3) shook off a tough-luck 3-1 defeat in his previous start to win for the ninth time in his last 10 outings. He outdueled Jeff Locke, who had a personal eight-game winning streak snapped. Locke (8-2) lost for the first time since his first start of the season April 10. Coco Crisp made a diving catch in left-center to preserve Oakland's lead in the seventh off a hard-hit sinking liner from Andrew McCutchen with two men on and two outs. (AP) — A person with knowledge of the deal says the Golden State Warriors and Marreese Speights have reached an agreement on a free agent contract. The person spoke to The Associated Press on condition of anonymity Monday because teams can't announce moves until the new league year begins Wednesday. Terms of the deal weren't immediately known. Speights should help fill the void left by power forward Carl Landry, who agreed to a four-year, $26 million deal with the Sacramento Kings on Sunday. Speights averaged 10.2 points and 5.1 rebounds in the final 39 games with Cleveland after coming over in a trade from Memphis last season. He will likely come off the bench for the Warriors at both power forward and center. (AP) — A person with knowledge of the decision says the Denver Nuggets have agreed to separate sign-and-trade deals that will land them guard Randy Foye from the Utah Jazz and send swingman Andre Iguodala to the Golden State Warriors. The Warriors had planned to sign Iguodala to a four-year, $48 million deal as a free agent last week. Instead, the restructured deal will give Golden State more salary cap flexibility, deliver Denver a $9 million trade exception and hand Utah another draft pick. The Warriors will clear more than $24 million by sending Richard Jefferson, Andris Biedrins and Brandon Rush to the Jazz along with the package of draft picks. Golden State is only taking back Kevin Murphy and his non-guaranteed $788,000 deal from Utah. Yahoo Sports, which first reported the new deal, says Foye will sign a three-year contract worth $9 million. 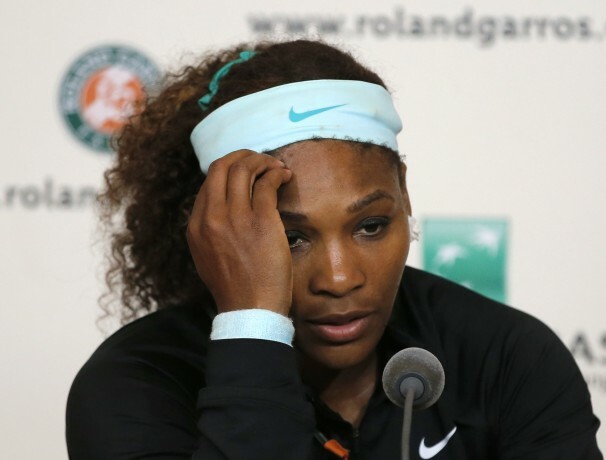 (AP) — A three-hour tennis match has ended 77 years of frustration for Britain. 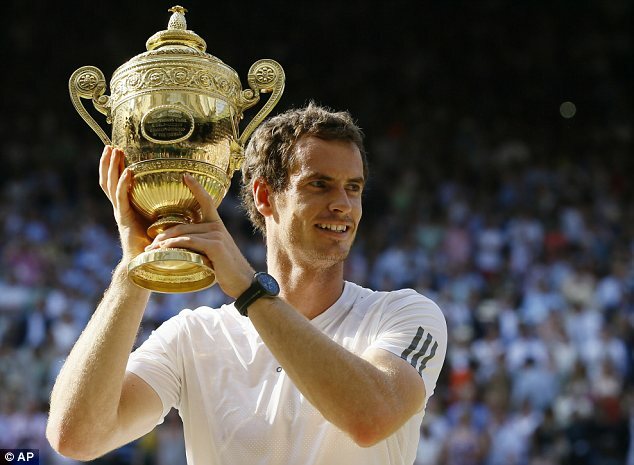 Andy Murray has become the first British male since Fred Perry in 1936 to win Wimbledon. The second-seeded Murray needed three hours and nine minutes to complete a 6-4, 7-5, 6-4 triumph over Novak Djokovic (JOH'-koh-vihch). 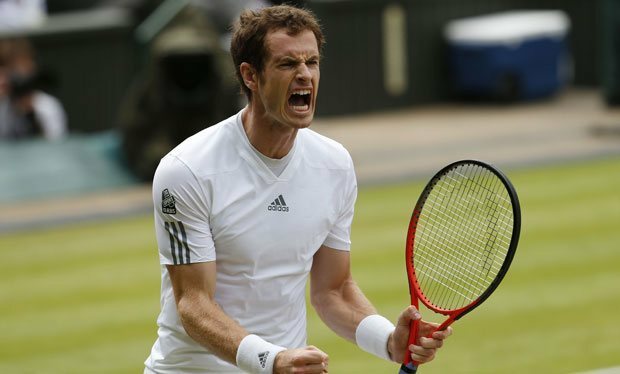 The victory comes a year after Murray was beaten by seven-time champ Roger Federer. Murray finished with 36 winners and just 21 unforced errors. Kershaw (8-5), a candidate to start the All-Star game for the National League, wasn't as sharp as he'd been in his previous two starts but still only allowed one run over eight innings. He helped the Dodgers move into second place in the West heading into a three-game series with division-leading Arizona. Hanley Ramirez doubled and tripled to extend his career-high hitting streak to 18 games while rookie Yasiel Puig added two hits, including a single that started the rally in the ninth. Guillermo Quiroz doubled and scored for San Francisco, which has dropped 11 of 13. 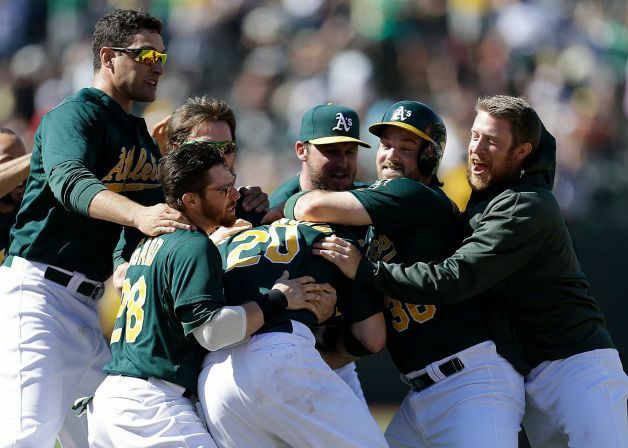 (AP) — Josh Reddick homered and drove in four runs to cap a big series for Oakland, Jed Lowrie and Eric Sogard also went deep and the Athletics beat the Kansas City Royals 10-4 on Sunday. A.J. 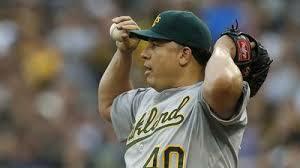 Griffin (7-6) rebounded from a miserable start against the Cubs to go five innings for the A's. The only damage he allowed came on solo homers by George Kottaras and Alex Gordon. Jesse Chavez earned his first career save with four scoreless innings of relief. Luis Mendoza (2-5) allowed five runs in the second inning for the Royals, and was yanked to a round of boos after retiring just four batters. It was the right-hander's shortest start in exactly five years — since an outing on July 7, 2008, when he was still with Texas. 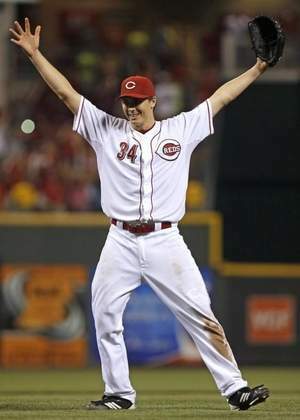 (AP) — Homer Bailey has thrown his second no-hitter in 10 months and the first in the majors this season, pitching the Cincinnati Reds to a 3-0 victory over the slumping San Francisco Giants on Tuesday night. With 27,509 fans on their feet chanting "Homer! Homer!" Bailey finished it off by getting Brandon Crawford on a high comebacker, striking out Tony Abreu and getting Blanco on a grounder to third. (AP) — Derek Norris hit a three-run homer with two outs in the eighth inning, and the Oakland Athletics rallied to beat the Chicago Cubs 8-7 on Tuesday night to regain the AL West lead. Norris sent the 2-2 pitch from James Russell (1-2) over the left-center field wall for his fourth home run this season. 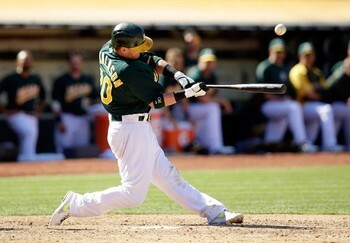 Josh Donaldson and Chris Young also homered to put the A's a half-game ahead of Texas, which lost 9-2 at Seattle. Alfonso Soriano hit a three-run homer to highlight a five-run fifth inning and Welington Castillo drove in three runs for Chicago, which twice blew a two-run lead. The Cubs are 35-46 at their season's midpoint. Dan Otero (1-0) pitched one scoreless inning for his first career win, and Grant Balfour finished for his 20th straight save this season and 38th overall. (AP) — Lakers general manager Mitch Kupchak, Kobe Bryant, Steve Nash and other representatives of the team met Tuesday for two hours with free agent center Dwight Howard to make their pitch for keeping him in Los Angeles. Kupchak says in a statement that at the meeting, "we told him how important he is to the Lakers team, franchise, fans and community." Howard's free agency had been prominent in the Lakers' minds since their season ended in a first-round playoff sweep.Howard, a seven-time All-Star, has vowed to make his decision in his own best interests, giving no indication he favored the Lakers over any other team. The Lakers can offer a maximum of $118 million over five seasons, and other teams can offer $88 million over four years. The Chico Nuts went 2-4 at the University of Nevada Reno Tournament, defeating the Chaffey Baseball Club and the Santa Clara Red Sox over the six day tournament. The UNR tournament is one of the most difficult 19u tournaments in the United States, with elite clubs from all over the United States. Against Santa Clara the Nuts needed extra innings to prevail 10-4. The score was tied at seven after seven innings before the Nuts scored six runs in the top of the eighth. Michael Sanderson hit a three run home run and Andrew Shippelhoute hit a 2 run triple in the inning. Matt Henderson was 4x4, and Greg Darms was 2x3 with two rbi. Clayton Schuler pitched six innings, striking out five, and Zach Visinoni pitched the final two innings for the win. Against Chaffey (Seattle, WA.) the Nuts jumped out in front and held on for a 6-4 win. Ryan Dufort pitched four strong innings for the win, allowing four hits, and Nick Jackson pitched the final three innings, allowing only one hit. Matt Gomes was 2x3 with an drbi, and Jackson Murphy was 2x3 with a home run and an rbi. (AP) — Todd Frazier homered and drove in four runs Monday night, leading the Cincinnati Reds out of their offensive slump to an 8-1 victory over the San Francisco Giants in a game shortened to six innings because of rain. Frazier had an RBI single and a three-run homer off left-hander Mike Kickham (0-3), who has been hit hard in each of his three major league starts. Zack Cozart added a sacrifice fly and a run-scoring double as the Reds piled up their most runs since a 12-2 win at Wrigley Field on June 11. Bronson Arroyo (7-6) gave up a pair of hits in six innings, including Brandon Belt's homer. Rain halted the game after the sixth. The umpires waited 1 hour, 28 minutes before calling it. The Giants take on the Reds in Cincinnati this afternoon looking to stop their skid. 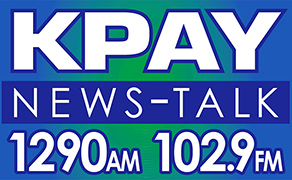 (AP) — Two people familiar with the situation say the New Orleans Pelicans have made an offer to Sacramento Kings restricted free agent guard Tyreke Evans. The people spoke on condition of anonymity to The Associated Press on Monday because the offer was supposed to remain private. Several media outlets reported the deal was for four years and ranging between $40 million and $48 million. Because he's a restricted free agent, the Kings will have the opportunity to match any offers Evans signs. Contracts can't be inked until July 10, after next season's salary cap is set. It's unclear if Sacramento would match such a lucrative offer. (AP) — One grew up in such poverty he had days when he wondered where he would find his next meal. The other is a coach's son who attended the same high school as a player whose jersey is retired in the rafters. Ben McLemore and Ray McCallum, while opposites in many ways, are now tied together in the same backcourt. The Sacramento Kings hope that will be the case for several years to come. On the day NBA free agency began, Sacramento formally introduced its draft picks Monday. The team touted both as players with high character and tremendous potential who will help build the foundation of the franchise's "new era," which could become even more pressing if restricted free agent guard Tyreke Evans doesn't return. (AP) — Golden State Warriors first-round pick Nmanja Nedovic has had a dozen different coaches in the last six years. He went through three coaches last season alone playing for Lietuvos rytas of the Euroleague, and he has never had much stability in his life or career moving around with his family. The point guard selected 30th overall said on a teleconference from Serbia on Monday that he has never been to the San Francisco Bay Area. He had never even been to the United States until last month. The 22-year-old said he's not intimidated by new places or cultures and is ready to prove himself for the Warriors in the summer league. (AP) —The stunning string of upsets at Wimbledon continues into the second week. Defending champion Serena Williams lost in the fourth round, falling 6-2, 1-6, 6-4 to Sabine Lisicki (lih-SIH'-kee) of Germany. The loss ended Williams' career-best 34-match winning streak and her attempt to capture a sixth title at the All England Club. In other play on a busy day at the All England Club, former champion Petra Kvitova (kuh-VIHT'-oh-vuh) became the first player to reach the quarterfinals, beating Carla Suarez Navarro of Spain 7-6, 6-3. She was joined minutes later by Kirsten Flipkens of Belgium, who reached her first career Grand Slam quarterfinal by ousting Flavia Pennetta of Italy 7-6, 6-3. Li Na routed Roberta Vinci of Italy 6-2, 6-love to reach the quarterfinals for the third time. Fourth-seeded David Ferrer overcame another slow start with a 6-7, 7-6, 6-1, 6-1 victory over Ivan Dodig of Croatia. All fourth round matches in men's and women's play are on the schedule. 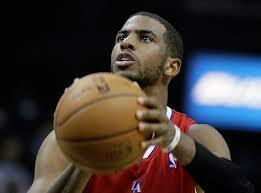 Chris Paul is staying with the Los Angeles Clippers. The All-Star point guard agreed to a new deal on the first day free agency opened, agent Leon Rose confirms. Paul led the Clippers to their first Pacific Division title last season and his decision to stay is the second big victory for the longtime losers in this offseason, following the signing of Doc Rivers as their new coach. 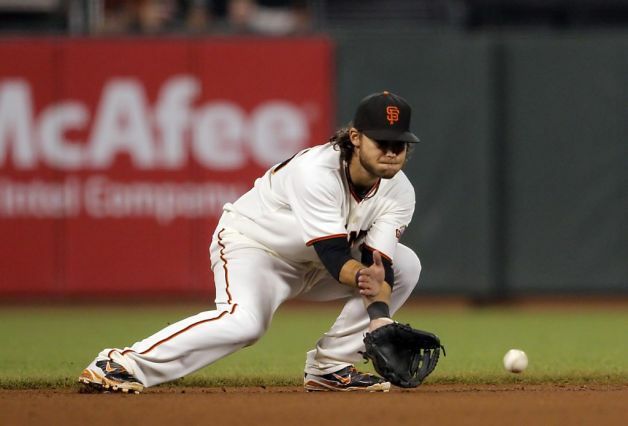 (AP) — Madison Bumgarner scattered four hits over seven innings, Hunter Pence hit a two-run homer and the San Francisco Giants ended their longest losing streak in three years with a 5-2 victory over the Colorado Rockies on Sunday. 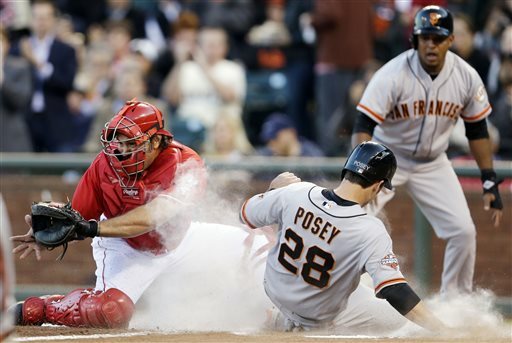 San Francisco had lost six straight, its longest skid since dropping seven in a row from June 26-July 1, 2010. The World Series champions had dropped seven straight road games. Bumgarner (8-5) struck out five and walked three, improving to 4-1 with a 2.18 ERA in his last five starts. 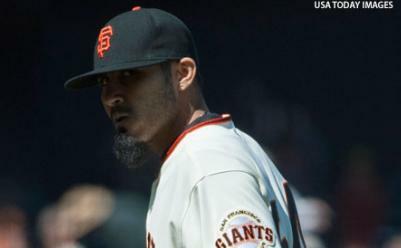 Sergio Romo pitched a one-hit ninth for his 19th save in 21 chances. (AP) — Jed Lowrie hit a go-ahead, two-run home run in the fourth inning, Tommy Milone overcame a rocky start to win for the first time in nearly four weeks and the Oakland Athletics held on to beat the St. Louis Cardinals 7-5 on Sunday. Josh Donaldson also homered and reached base four times for the A's, who padded their AL-best home record by taking two of three in this interleague series. Oakland has won 16 of its last 19 games at the Coliseum. Milone gave up three home runs and pitched with runners in scoring position in four of the six innings he worked, but got the win after the A's rallied from deficits of 3-0 and 5-2. The Chico Suns Red defeated Humboldt to end a three game series in Chico on June 30. The Suns won by the score of 12-2 behind the five inning effort of pitcher Cooper Davis and a strong offensive attack. Davis pitched five innings, striking out 1 and walking none. Offensively the Suns were led by Jake Andrews with two singles and 2 rbi, Vicente Cardenas with 2 singles, a double and 2 rbi, and Justin Beth with 2 singles and 2 rbi.